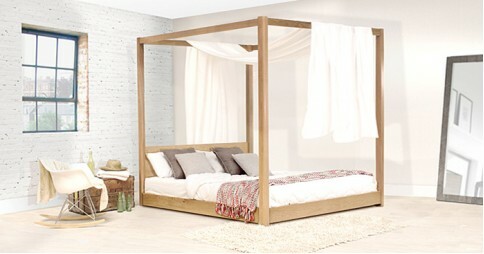 The contemporary low profile appearance of these bed designs make them a truly unique addition for any modern bedroom. 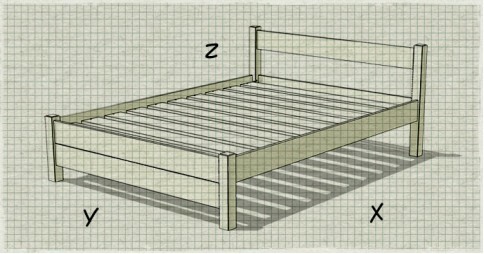 Low bed frames are one of Get Laid Beds specialties, holding a cherished place in our selection of handmade wood beds. We aim to provide reliable, cutting edge designs that blend the qualities of the past with the excitement of contemporary design. 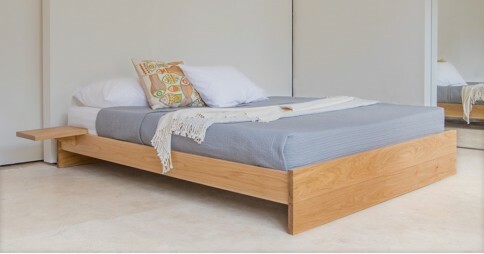 One of the most defining characteristics of our range of Low Bed frames is the utilisation of both traditional Japanese near-floor sleeping methods and the mortise and tenon joints used to fasten the bed. 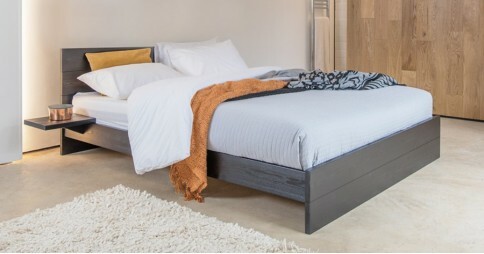 They combine two long-standing, distinct techniques that have stood the test of time, brought together by our Low Bed frame designs. There are 17 unique designs featured in our range of Low Bed frames, all of which are a collection of luxurious, space-saving innovations, designed to be minimalistic while maintaining a refreshingly high standard of comfort. Making a bed unique to you and your needs is part of the bespoke service we provide. If you have a situation that requires your wood bed to be specially made, our experienced carpenters can accommodate any alterations you request. 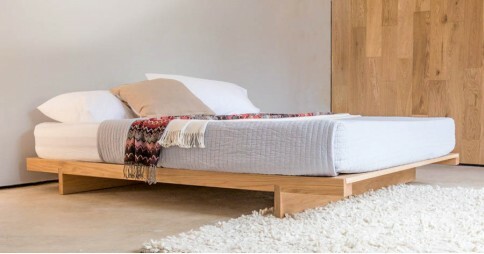 We aim to get you a quality handmade wood bed frame that will fit into that tight space, or suit your low ceiling, whatever situation you may encounter all you need to do is get in touch. 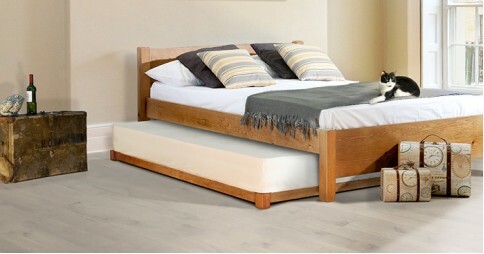 As with every quality handmade wood bed frame we offer, each one can be easily customized to suit what you want or need. Personalize your bespoke bed frame with one of our selection of satin stains, available for every different bed we sell, regardless of size or design. Take your pick from a few popular choices, including the effortless black, tranquil white and a quiet grey finish. 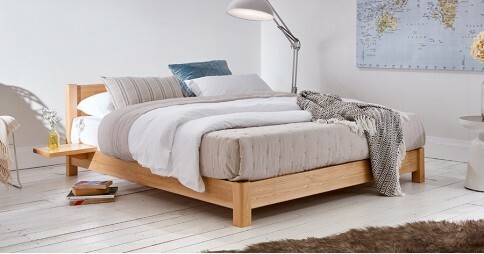 These finishes are available for beds made from our standard material, Solid Scandinavian Pine, and are well suited to it. 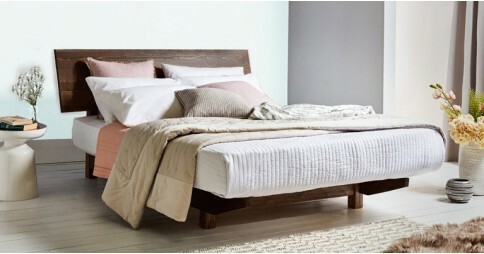 However, should you be looking for something with a little more finesse that holds a more aesthetically pleasing appearance, you can also have your bed made from one of our select Solid Hardwoods. 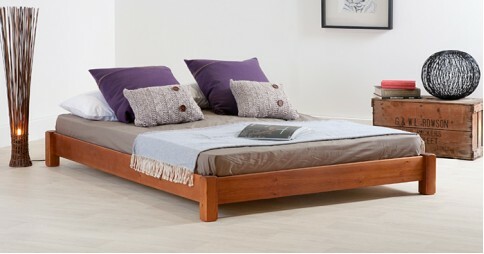 Using a Solid Hardwood for constructing a bed gives it an impressive stature and an air of sophistication. A few customer favourites are Walnut, or the solid Oak. 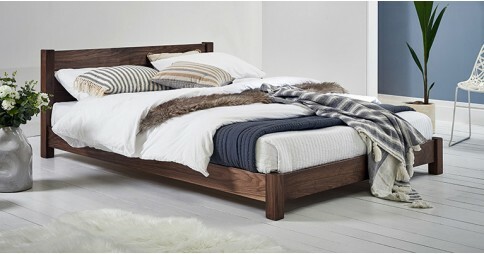 It’s important to us that as much of the wood we use to make our beds is sourced sustainably as possible, and is FSC and PEFC approved where possible. We take our environmental responsibility seriously, reducing our carbon footprint is very important to us. Our aim is to give our customers the best we can, both in product and service. It’s important to us that we maintain an exceptionally high standard in both areas throughout the entire process, from accepting an order and handcrafting each wood bed frame to the day it arrives at the door. Any questions or general inquiries can be answered by our friendly customer services team on 646 851 2943 or through email at hello@getlaidbeds.com.